"Plasti-Bat" Plastic Bats are versatile, long-lasting, high quality and virtually indestructible. Made of 1/4" to 3/8" thick very rigid, high impact plastic for continual use. Will not splinter, delaminate, swell or shrink. Easy to clean and impervious to water and most chemicals. Pre-drilled for bat pin holes. Holes will not become over-size with use. Plasti-Bats have one oblong pin hole for a better fit on some popular make potter’s wheels. 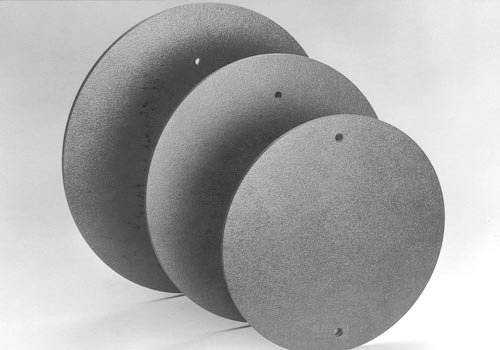 Surface is non-absorbant with a positive adherence surface that won’t let clay slide or turn loose while centering. Pots removed from Plasti-Bats have a totally clean, smooth surface. 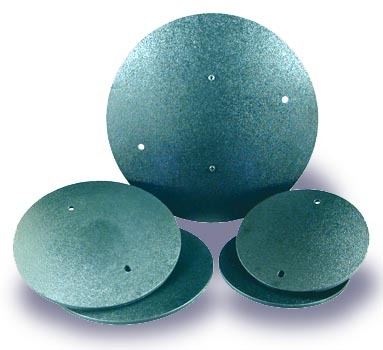 Adapt-A-Bat is a 14" diameter very strong plastic disc that lets you use smaller 8" and 10" bats on larger wheel heads that are not drilled for smaller size bats whose holes are 6" apart on center. Adapt-A-Bat has 2 pre-drilled holes 10" apart on center and include two 3/8" diameter bat pins threaded into the Adapt-A-Bat, 6" apart on center. Made from specially formulated 1/4" tough plastic for strength and long life. Won’t swell or shrink. Easy to clean and impervious to water and most chemicals. Pressed Wood Bats are 5/8" thick. These wood bats won’t flex and won’t distort ceramic pieces. 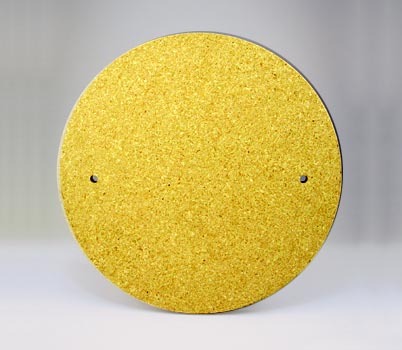 Can be sealed with an acrylic sealer, if desired, for longer life. Bats are removable from wheel heads for production work. easy to store & carry. 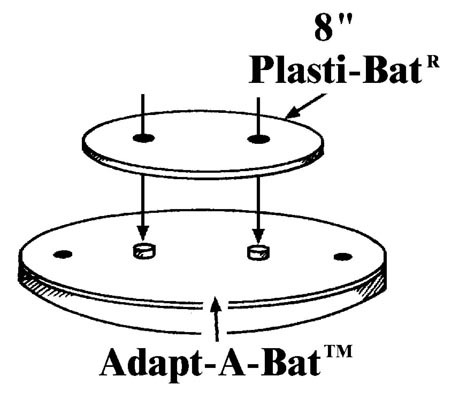 Note: 8" & 10" Plasti-Bats have holes 6" apart on center to fit Adapt-A-Bat.